The concept of “Mei Mei” derives from the wild migratory black-faced spoonbills which come and perch in Macao every year. “Mei Mei” soars high into the sky, symbolizing that Macao opens new path with endless innovative spirit, and also representing the youthful, boundless and ground-breaking force of the Asian Indoor Games. 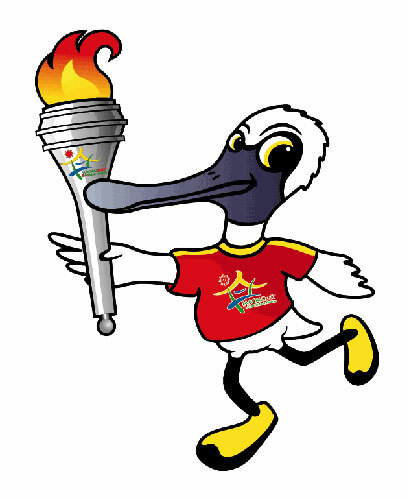 As this migratory bird is chosen to be the mascot, “Mei Mei” not only shows her energy of flying high, but also leads the Macao citizens to participate in the Macau 2007, 2nd Asian Indoor Games.